Before you escape the heat of Montana and to another state’s summer heat for a vacation, here’s something to consider if you’re planning on kiteboarding or doing any water sports in the ocean. There are animals that call the ocean home–keep that in mind when you do anything in or on the ocean, as there is a pretty strong possibility that you could run into those animals. 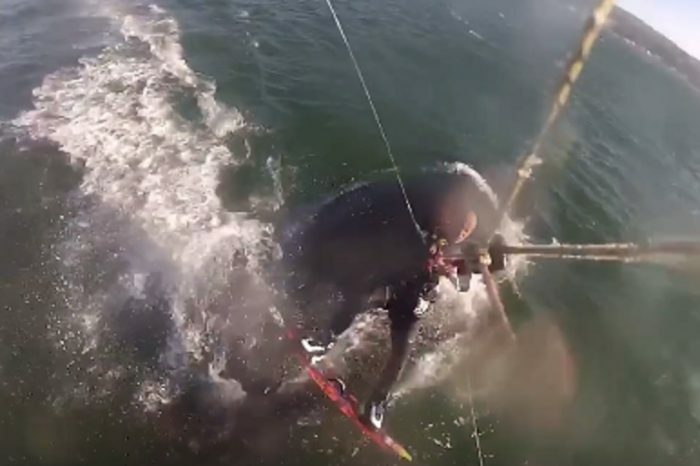 Here is some footage from June of Andrei Grigoriev at Crissy Field Beach running over a whale while kiteboarding on the California coast.